Les Twins are quite popular in the film industry for their amazing dancing skills. Both are great entertainers that the world always looks up-to. Now, the twins are going to make their debut in Tollywood film industry soon. 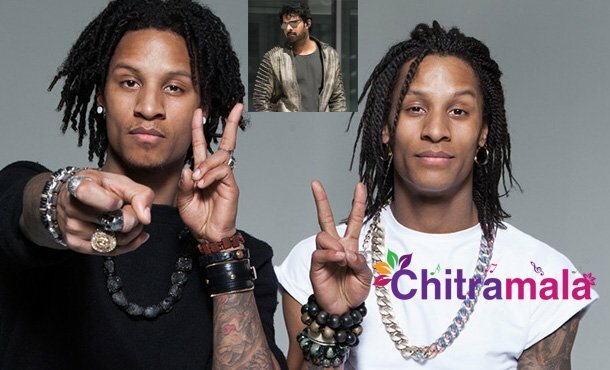 Laurent Nicolas and Larry Nicolas are the twins who will shake leg with Prabhas in a special song that is going to be filmed soon. As the film is being made with the International standards, the makers are craving for an International appeal to the film and hence roped both of them for a song which will be choreographed by the popular Bollywood choreographer Vaibhav Merchant. The song is going to be composed by Shankar-Ehsaan-Loy. The film is tipped to be an action thriller, directed by Sujeeth. Shraddha Kapoor is the heroine of the movie.